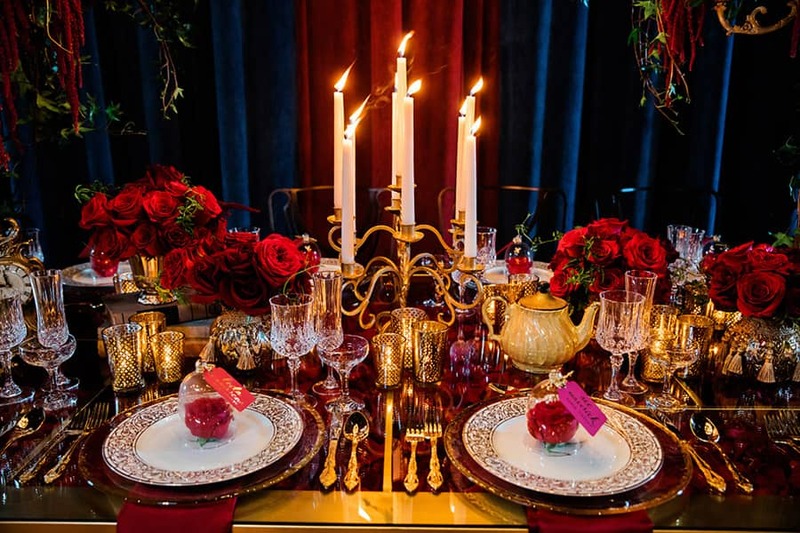 True as it can be, this tablescape is an absolute dream! 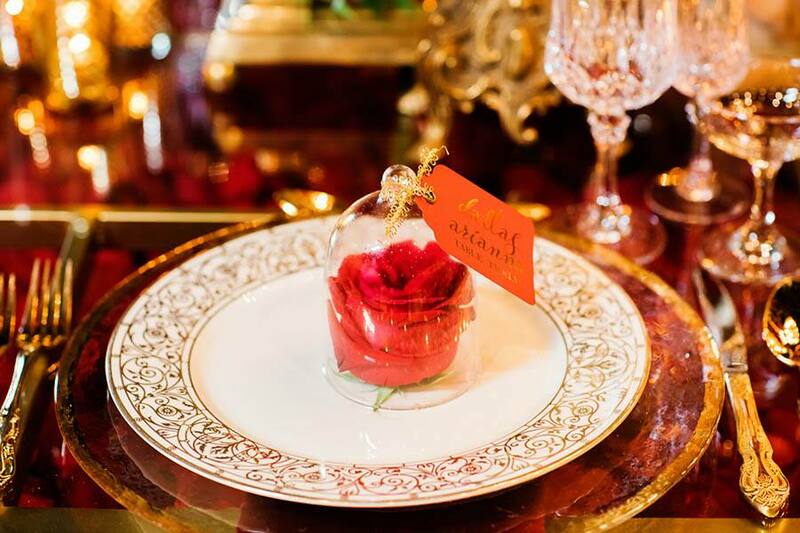 Inspired by all the glamour of Beauty and the Beast and in honor of the release of the live action remake this week, I'm excited to share this with you. 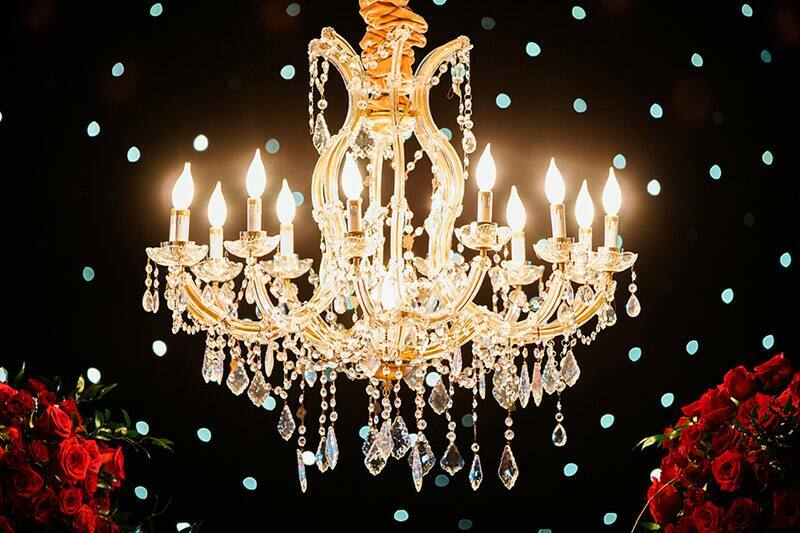 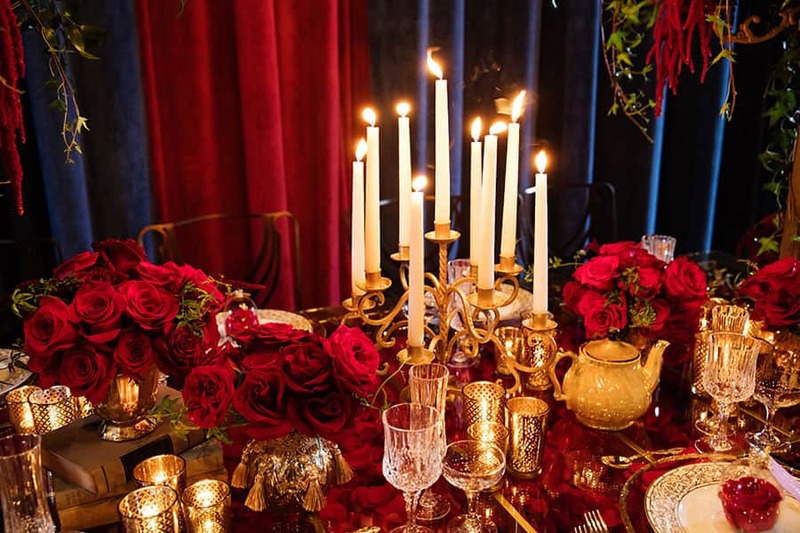 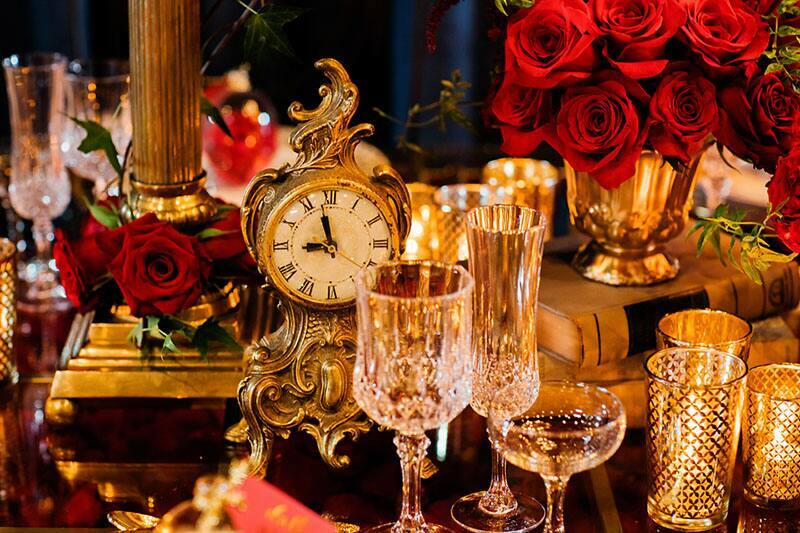 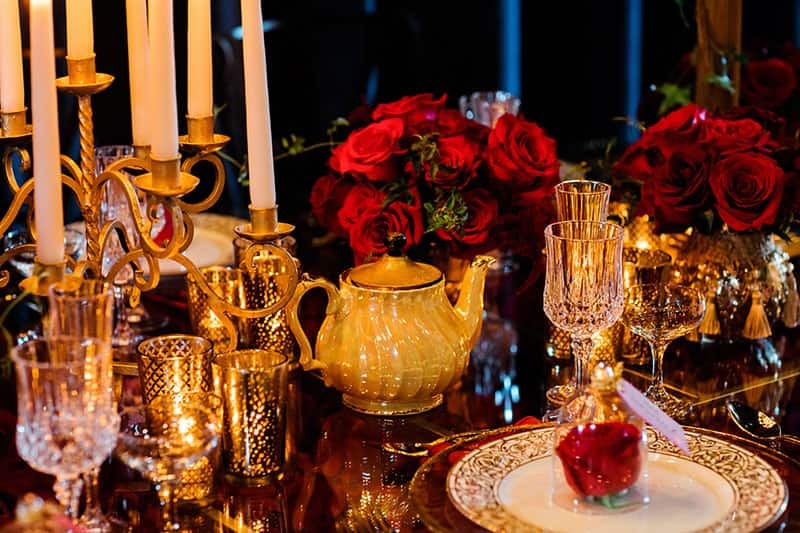 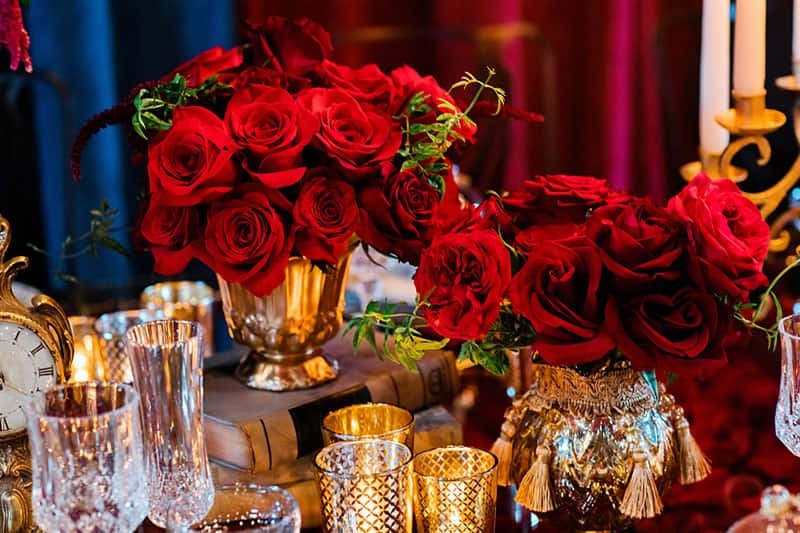 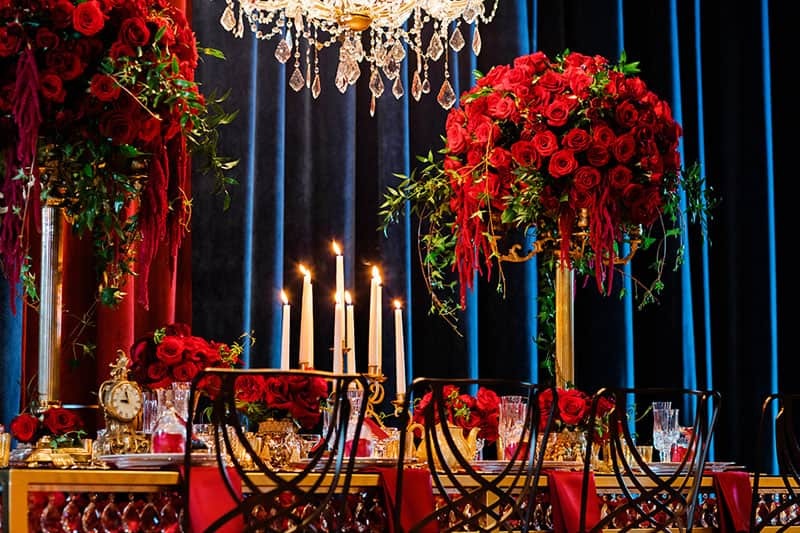 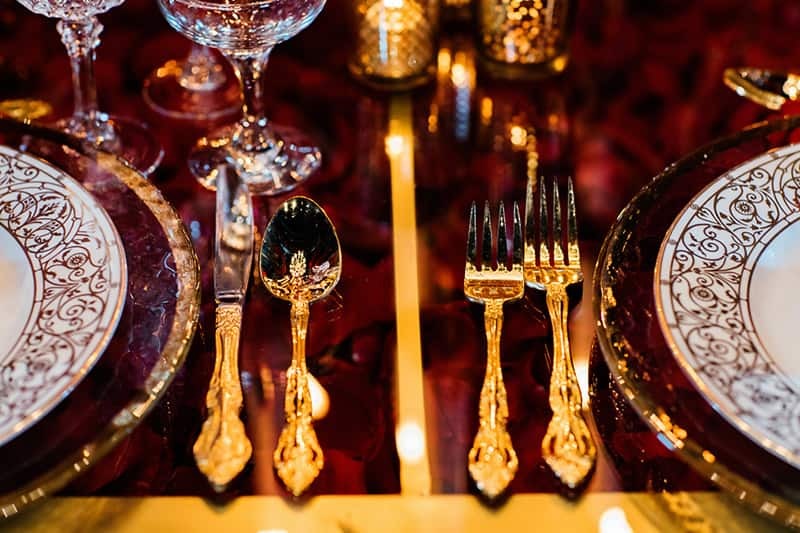 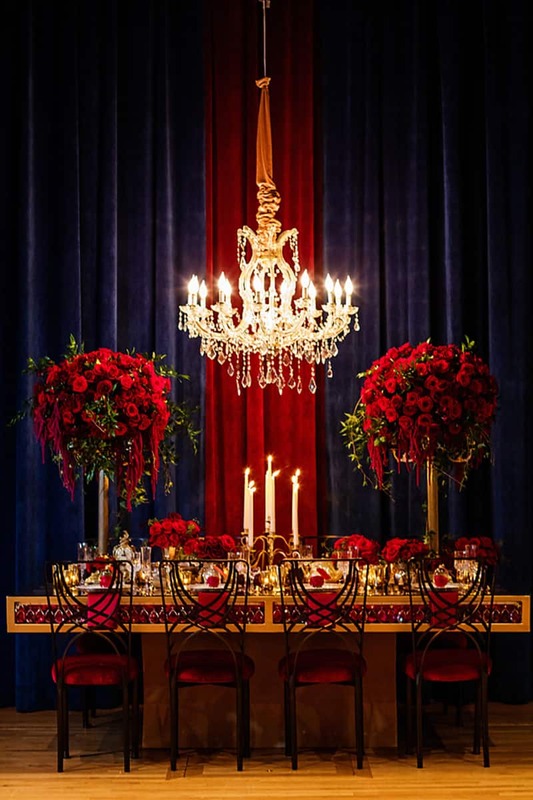 Overflowing with rich, red roses - an iconic symbol in the film - and brilliant gold and opulent details, everyone will want to be your guest for a chance to sit at this table. 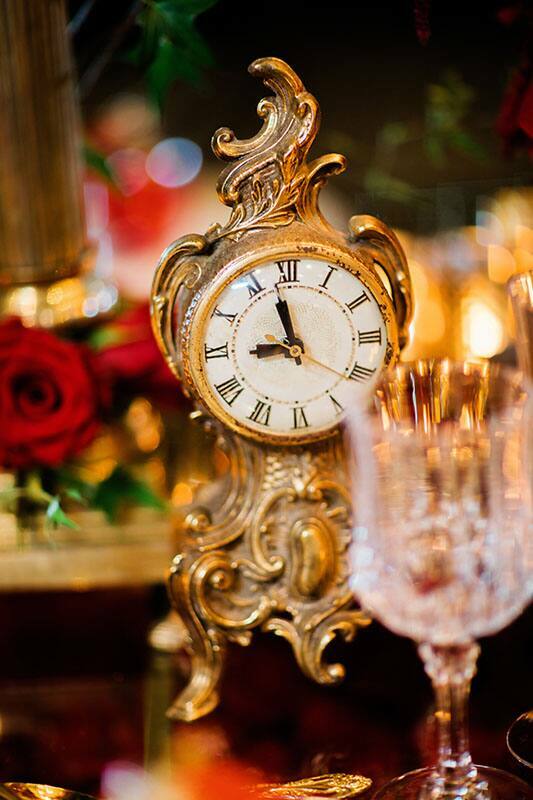 I love all the decor references to characters in the film from the bright candelabra in the center to the cute teapot and antique clock. 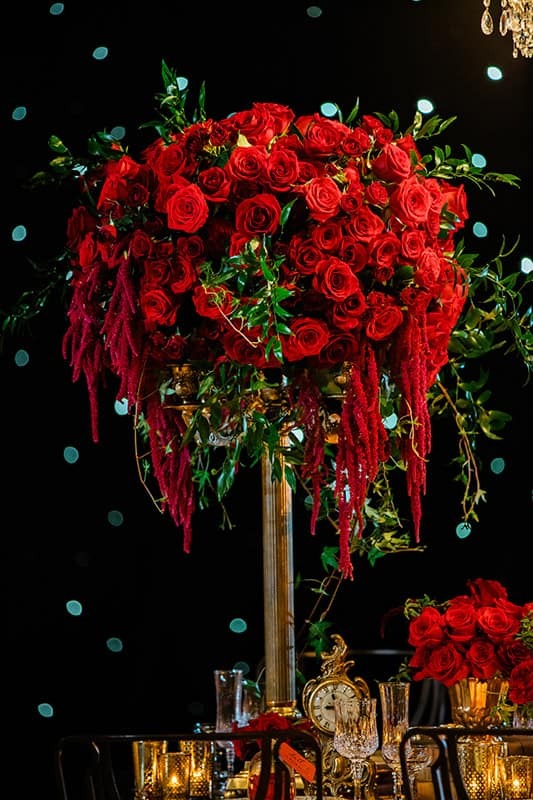 The floral arrangements even stand atop stacked books inspired by Belle's love of reading.